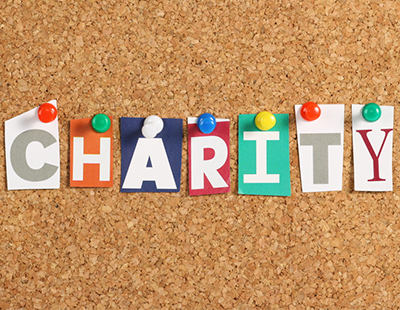 Agents’ charity fundraising obviously spans a wide range of genuinely good causes, but it’s noticeable that at the end of each summer the focus of attention concentrates increasingly on children and homelessness. This week there are plenty of opportunities to help less-fortunate children - as winter bites, so homeless causes will come to the fore, too. 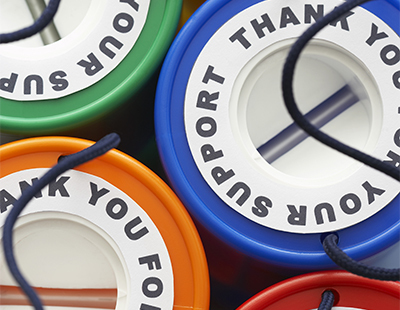 We are delighted to help in any way we can, whether you’re raising money for these good causes or others. Just drop us a line at press@estateagenttoday.co.uk and we will do the rest. Martin House Children’s Hospice: Children with life-limiting illnesses can now enjoy their very own wildlife garden at a Yorkshire hospice, thanks to a partnership cultivated with staff from a Leeds estate agency. Linley & Simpson has broken its previous record by raising £26,000 for Martin House Children’s Hospice at Boston Spa, near Wetherby, during another year of support for its chosen charity. For the first time, this backing included a volunteering programme which saw staff transform spare land in the picturesque grounds into a haven of peace for families. It also encompasses a thriving habitat for declining species - such as butterflies, bees and hedgehogs. The independent residential sales and letting agency, which employs 140 people in a network of 11 branches across North and West Yorkshire, completed more than 20 fund-raisers over the year. It was spearheaded by a challenge which saw staff conquer 20 of the Lake District’s toughest peaks, over 20 miles, in just 13 hours – an ascent the equivalent of two Ben Nevis climbs, or halfway up Mont Blanc, the highest in the Alps. Other events included the company’s debut in the annual Dragon Boat Races at Roundhay Park, Leeds; and a “Cash for Clutter” campaign, where branches acted as collection points for more than 80 bags of unwanted bric-a-brac to be sold through the hospice’s shops network. Action For Children: Several employees at the Intelligent Services Group - parent firm of IAM Sold, The Conveyancing Partnership and Medway Law - are taking part in Byte Night on 6th October, a national sleep-out event to raise money for Action for Children. Byte Night is Action for Children's biggest annual fundraiser, supporting young people in the UK who are homeless through no fault of their own. Each year, like-minded people give up their beds for one night to help change the lives of vulnerable young people. Since being established in London in 1998, Byte Night has grown to 10 UK locations and over 1,200 people slept out in 2016. The team at Intelligent Services Group will be sleeping out in Kingston Park Stadium, Newcastle. “We wanted to participate in this challenge to raise much-needed money for young homeless children. It’ll be tough sleeping rough for one night, but it is nothing compared to what some of these children go through. We hope to not only meet but exceed our £5,000 fundraising target to help our local and national community as homelessness continues to rise” says Malcolm McClen, sales and operations director at IAM Sold. Guiseley Greens Under 8s: The local branch of Manning Stainton sponsored the Guiseley Greens Under 8’s as part of its on-going Community Support Programme, a fund set up to help worthwhile groups and organisations. The team are part of Guiseley Juniors Football Club, the largest of its kind in the country with more than 500 registered players and over 50 teams across a range of age groups form Under 7 to Under 17. Over the last 12 months Manning Stainton has donated in excess of £50,000 to over 50 worthwhile organisations through its support programme. Other local beneficiaries have included Guiseley Primary Pre- School, the Guiseley Christmas Lights Appeal and Yeadon Cricket Club. Manchester Arena Bombing Victims: Manchester-based online letting agency MakeUrMove has donated 50 per cent of one week’s turnover to support the victims of the Manchester Arena bombings. The Manchester Arena bombing saw a shrapnel-laden homemade bomb detonated as people were leaving a concert by American singer, Ariana Grande. Twenty-three people were killed, including the attacker, and 250 were injured. Many of them were children. The donation of £3,145.22 to the British Red Cross We Love Manchester Emergency Fund, will help provide ongoing support to the families of those who were injured or bereaved during bombings that took place on the evening of May 22. Please donate to the We Love Manchester Emergency Fund here. St David’s Hospice: Parry’s Pirates - a team of publicly-spirited estate agents in Monmouth and Abergavenny - have recently taken part in a local raft race and managed to raise over £800 for St David’s Hospice. They will also be hosting a Macmillan Coffee morning on Friday September 29 to raise support and money for Macmillan, and have also partnered up with a local charity Monmouthshire Home Start and will be doing three events per year for them. Computershare Quarterly Charity Donation: Computershare, a mortgage servicing company, has launched a £20,000 charity fund to help prevent financial hardship and support those experiencing money problems. From December Computershare’s Loan Services division will donate up to £5,000 to good causes every quarter, and is currently seeking submissions from charities wanting funding for initiatives focused on financial difficulty. Andrew Jones, chief executive officer, said: “Every year we help thousands of people manage their finances better, supporting them as they overcome financial problems and reduce their debt. However, with over £63 billion of loans under our management, we have seen first-hand that most financial difficulties begin a long time before we are able to help. 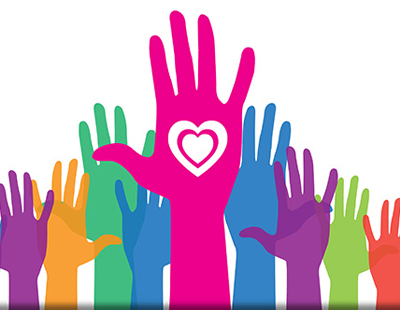 A committee of staff members representing every Computershare Loan Services office – Skipton, Crossflatts, Derry and Doxford – will meet quarterly to review applications from charities and decide which applications best meet the award criteria. Craig Simmons from the Money Advice Service, has also joined the committee to provide insight into the debt advice sector, the problems people commonly experience and the best practice currently used to both deter financial hardship and support those who are struggling.